The Cervantes Institute is a worldwide non-profit organization created by the Spanish government in 1991. It is named after Miguel de Cervantes (1547–1616), the author of Don Quixote and perhaps the most important figure in the history of Spanish literature. The Cervantes Institute, a government agency, was modeled on the British Council and the German Goethe Institute, and is the largest organization in the world responsible for promoting the study and the teaching of Spanish language and culture. In 2005, along with the Alliance française, the Società Dante Alighieri, the British Council, the Goethe-Institut and the Instituto Camões, the Instituto Cervantes was awarded the Prince of Asturias Award for outstanding achievements in communications and the humanities. This organization has branched out in over twenty different countries with 54 centres devoted to the Spanish and Hispanic American culture and Spanish Language. Article 3 of Law 7/1991, created by the Instituto Cervantes in March 21, explains that the ultimate goals of the Institute are to promote the education, the study and the use of Spanish universally as a second language, to support the methods and activities that would help the process of Spanish language education, and to contribute to the advancement of the Spanish and Hispanic American cultures throughout non-Spanish-speaking countries. 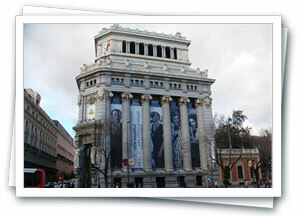 The creation of the Cervantes Institute is viewed as one of the most interesting cultural initiatives. Since 1998 the Instituto Cervantes has published the annual El español en el mundo highlighting the state of Spanish in the world, and current trends. 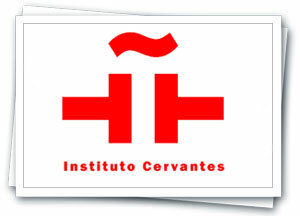 The Instituto has also run the Internet-based Centro Virtual Cervantes since 1997. We offer intensive and special Spanish courses, Business Spanish, Spanish for tourism, hispanic culture, politics, law, for D.E.L.E. teachers and preparatory courses for the D.E.L.E. examinations, as well as individual one-to-one training, group courses à la carte, holiday courses, language holidays.